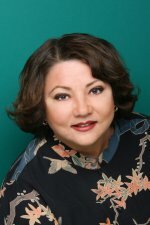 Gail Lee is a respected Real Estate Broker on the island of Oahu and has been licensed in the State of Hawaii since 1978. Having worked in all aspects of the business for over 30 years, she brings the knowledge, experience and efficiency that her clients admire. Her background in construction Development, Sales and Marketing along with a top-notch Property Management Department, has earned her the reputation she deserves. With excellent negotiating skills and commitment to providing the best service possible, she has acquired the respect of her numerous repeat clientele. Gail is a true "kamaaina" with deep roots in the islands. She was raised with the Mainland influences of her father and the Japanese language and culture of her mother and bringing the true spirit of Aloha to all that she does. 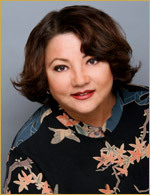 Gail is a member of the Honolulu Board of Realtors along with the National & Hawaii Association of Realtors. Alana has been Gail's primary assistant since 2001. With a degree in Art and a keen eye, she has been irreplaceable in bringing out the best in getting a property ready for market. Her creative staging skills have added the finishing touches in producing that special ingredient in marketability. She is also Gail's daughter.